April, 2018 | Fresh Air, L.P.
As summer approaches and temperatures continue to climb, it’s time for homeowners to start thinking about their air conditioners. Have you scheduled maintenance yet? If not, now is the time! We have plenty of hot days ahead and the last thing you want is an AC failure in the middle of it. 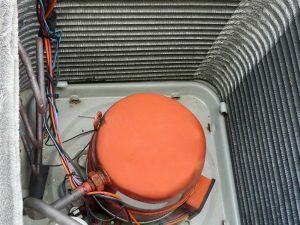 There’s one particular air conditioning repair in Cypress, TX that you want to always avoid if you can, and that’s a compressor burn-out. Summer puts a huge amount of stress on your air conditioner, and the main component that takes on the brunt of this work is your compressor. Your commercial HVAC system differs from residential systems in a number of ways. First off, it likely has to cool more space, and you might have specific cooling needs that must be met for your business to function as it should. For instance, perhaps you need to keep computer system from overheating, or maybe you are a manufacturing business and have specialized refrigeration needs. Commercial spaces require specialized care and attention when it comes to HVAC installations and services, so it’s important that you use a company you can trust for the job. In most cases, we recommend the use of rooftop units when it comes to commercial HVAC in Houston, TX. These consist of multiple, modular, units placed atop your commercial space. 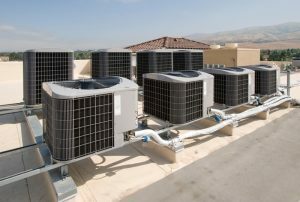 This may seem counterintuitive—exposing your air conditioner to blazing hot summers—however, commercial units are developed to handle these issues easily, plus they offer a number of benefits for business and commercial property owners.